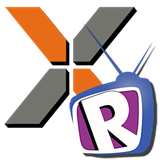 RTV Aconex Uploader is a standalone application that runs independently of any other BIM or Modelling software such as Autodesk® Revit®. Our Aconex Uploader automates the process of bulk uploading documents to the Aconex platform with a very simple 3 steps (1.Connect, 2.Publish, 3.Transmit). When it comes to generating your new electronic documents or revisions to existing electronic documents from Autodesk® Revit® our Aconex Uploader can works in harmony alongside our RTV Xporter Pro plug-in giving your project teams more time to design and coordinate their BIM projects. With virtually no setup required, just install and automate!, RTV Aconex Uploader is ideal for Architects, Interiors Designers, Engineers, Landscape Architects and Visualization Artists using Aconex. Dynamic user interface to quickly check, edit and update required Aconex meta-data fields. Publish and Transmit documents to Aconex without logging into the Aconex platform. Minimal and fast learning curve with the intuitive and clean graphical user interface (GUI). No setup required, just install and automate your work processes today.